November 9, 2015 October 26, 2015 / Julie Brook, Esq. By the time you prepare your opening statement, you’ll know specifically what the legal theories of your case are and generally what the jury instructions will be. By the time of your closing argument, the instructions will have been settled. Make sure to plan your opening and closing with the jury instructions in mind. In your opening statement: Your phrasing and the structure of your fact patterns should anticipate the jury instructions, although direct reference to them this early in the trial would probably attract objection. But without direct reference, you should identify the legal theory that most closely fits the facts in your case and develop a factual theme that summarizes and supports this theory. 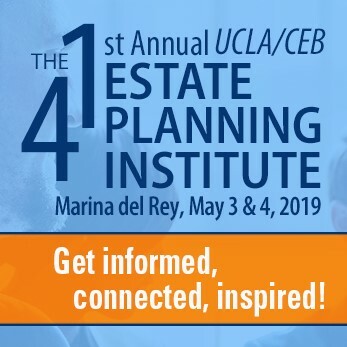 This theme, once stated—and repeated several times—in your opening, will be the touchstone throughout your presentation of evidence and should be highlighted during your closing argument. In your closing argument: You’ll know—indeed, the law provides that you’re entitled to know on request (see CCP §607a)—precisely which instructions the court will read to the jury. At this point, it becomes crucial that you incorporate the most favorable instructions in your closing argument and defuse the least favorable. By doing so, you’ll alert the jury to what the judge will read, and you’ll have a greater opportunity to create a sense of alliance between yourself and the judge. You’ll also break up the monotony of the instruction-reading process by giving the jury something to look forward to. This can be done by using overheads, blowups, or simply reading to the jury. For example, assume that in a wrongful employment termination case the plaintiff’s burden includes establishing the element of “bad faith.” Defense counsel will obviously want to argue this instruction over and over, matching each element of plaintiff’s case against it and making it crystal clear that this element is essential to plaintiff’s case. Even if the events surrounding the plaintiff’s termination were unfair or unkind, it may be difficult for plaintiff to establish the malice or other characteristic required to reach “bad faith.” Defense counsel will argue, through the instructions, that this critical element is simply missing, and thus, under the law as the court explains it, the jury must conclude that there was no bad faith. Similarly, you should anticipate and defuse unfavorable instructions. If you’ve survived a motion for a nonsuit or directed verdict, then you have something that can arguably get you around each instruction given. Thus, if there is any single particularly troublesome instruction, talk about it and try to anticipate your opponent’s claims about it. When arguing instructions, you need to say at least once, expressly or in substance, that “only the judge instructs the jury on what the law is.” Once you’ve said that, you have the right to use the instructions freely in argument. See, e.g., Neumann v Bishop (1976) 59 CA3d 451. As a practical matter, when arguing instructions, it’s always helpful to have the instruction, verbatim as the judge will read it, enlarged and projected or posted for the jury to see. 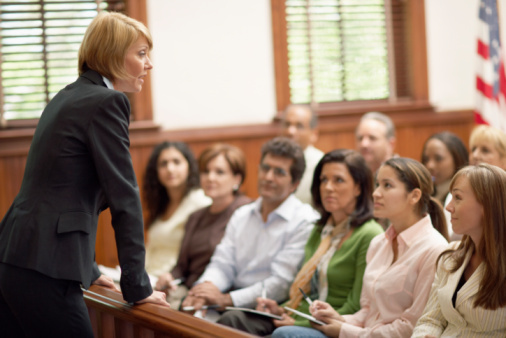 Allowing the jury to read as they hear it from you will enhance their retention. Get many more practical tips from veteran trial attorneys on presenting your statements and arguments in CEB’s Persuasive Opening Statements and Closing Arguments, chap 2, and in CEB’s CLE program Persuasive Opening Statements & Closing Arguments, available On Demand. Excellent advice. Always try your case in reverse. Tell the story/set your themes in your opening, using phrases and ideas which will dovetail nicely with language in probable instructions. Actually slightly less important is closing, where you can specifically reference language in the instructions the jury will hear, reinforcing your story and themes. Lastly, make sure on both opening and closing to hammer home your strengths and spend less time trying to diffuse your opponent’s expected argument. Often focusing on the former will naturally accomplish the latter! Give the jury a positive hook for them to naturally agree with your client’s position.